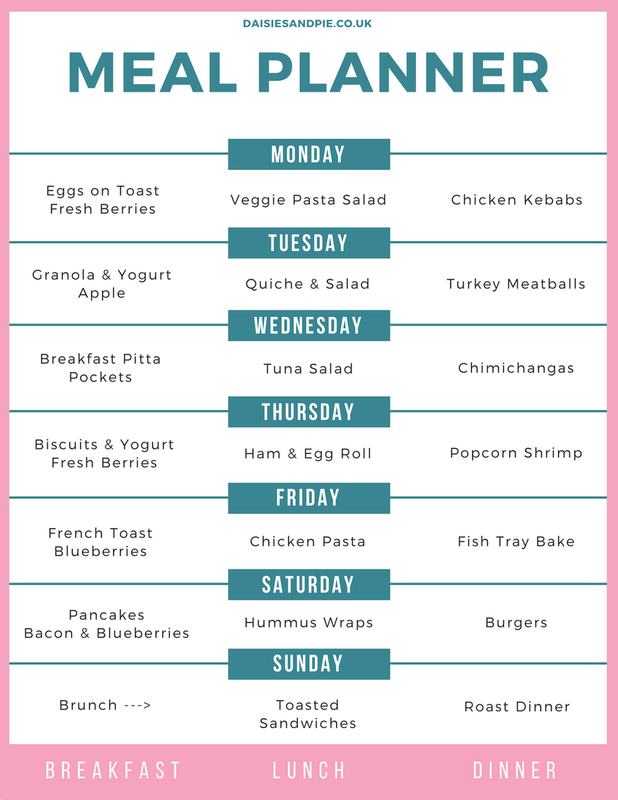 A weekly family meal plan filled with delicious, time friendly, kid friendly recipes that you’ll just love! 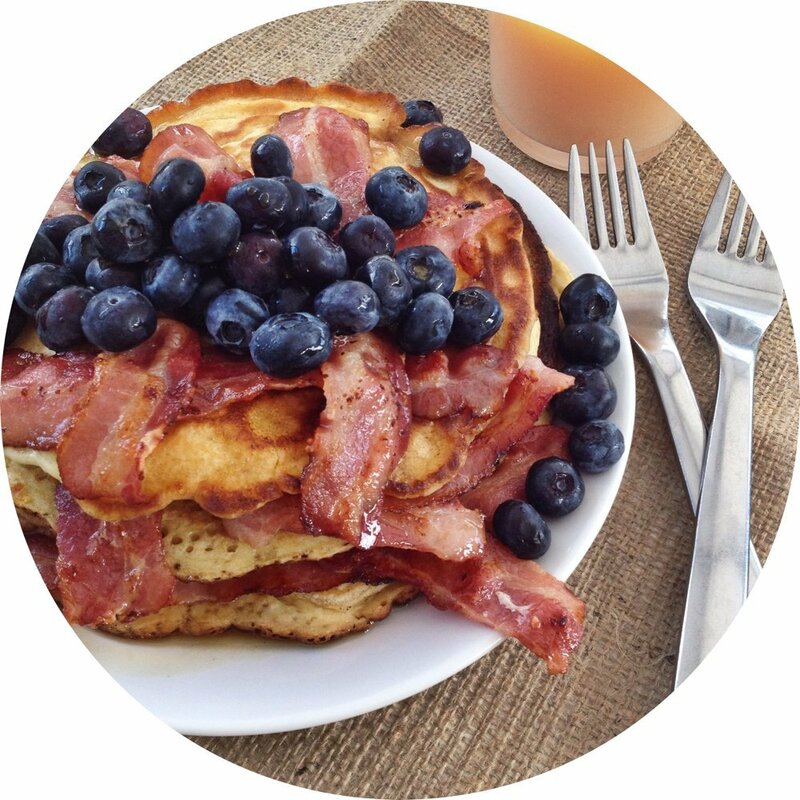 Deliciously fluffy pancakes topped with crispy bacon, blueberries and a drizzle of maple syrup. Get the pancake recipe here. 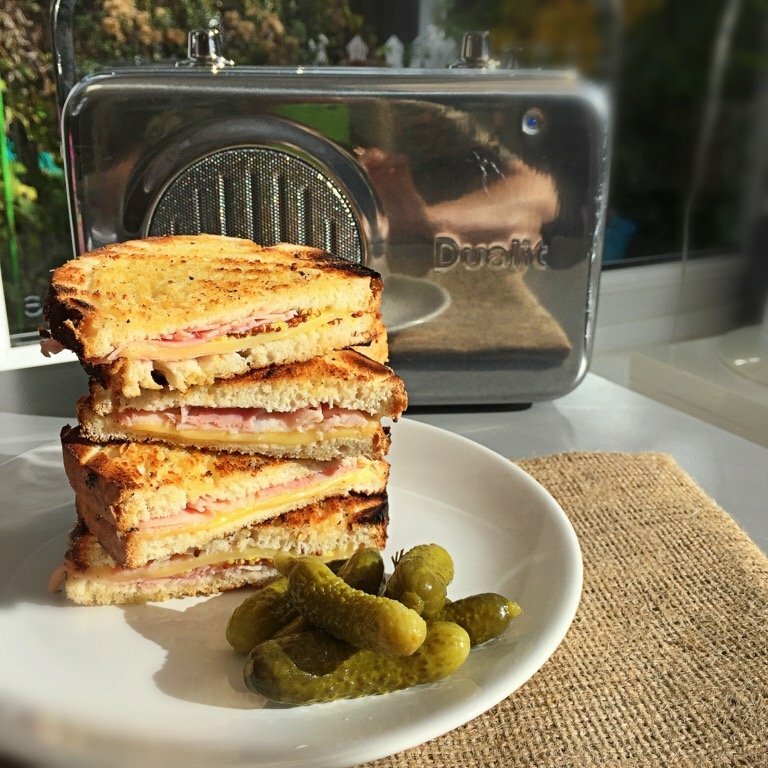 Dutch style ham and cheese toasted sandwiches with a little side of cornichons, perfect with coffee and a bowl of fruit for Sunday brunch. Get the Toasted Sandwich recipe here. 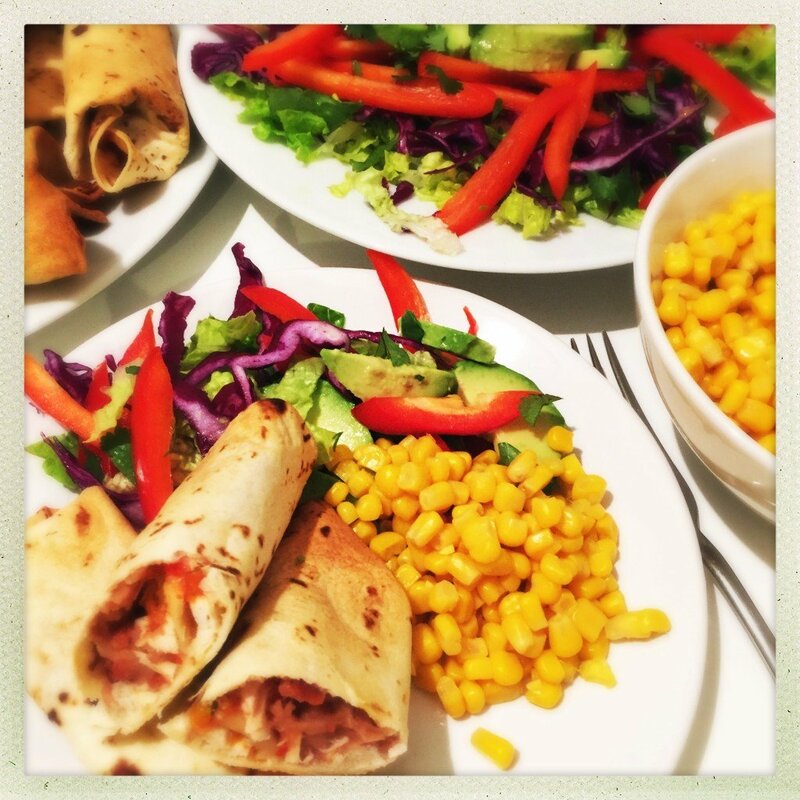 These oven baked chimichangas are just delicious, the kids go mad for them! Pile on the veggies an salads and this makes a really tasty healthy family dinner. Get the chimichangas recipe here. 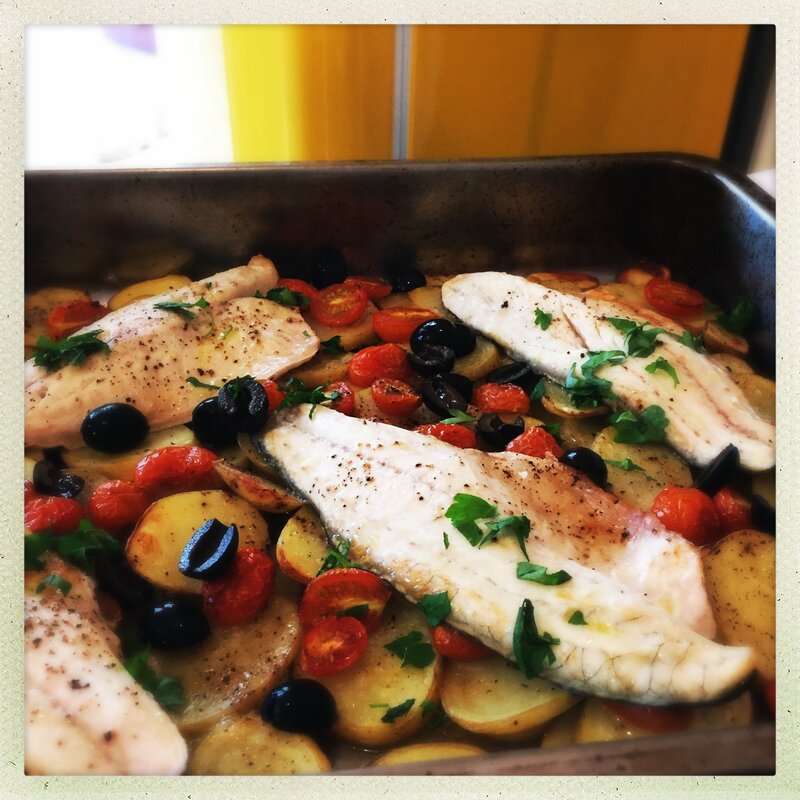 Delicious Italian style fish tray bake, I use Sea Bass for this but you can use whatever you like. Layers of delicious new potatoes, juicy sweet baby tomatoes and loads of garlic and herbs. Totally delicious. Add a side of crusty bread for mopping up the juices. Get the Fish Tray Bake recipe here.